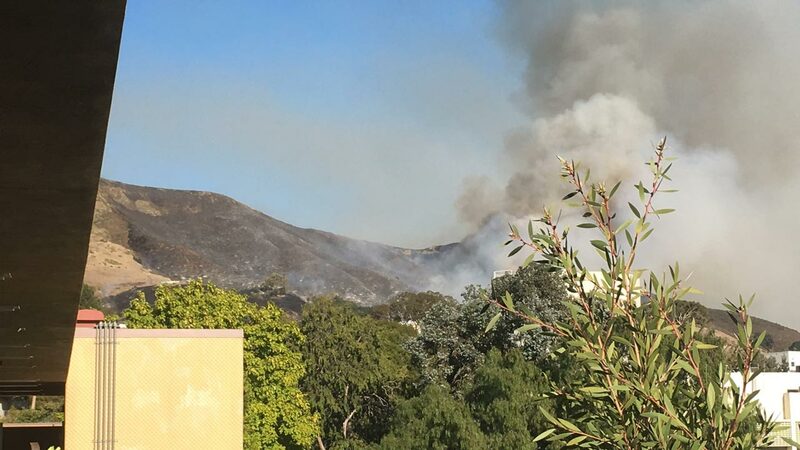 FRESNO, Calif. (KFSN) -- A wildfire right near the Cal Poly campus is forcing school administrators to evacuate 1,400 students in Sierra Madre and Yosemite residence halls. School officials say students are safe and are being moved to Mott Gym which has been turned into an evacuation center. Officials say the fire is approximately 80 acres and appears to be moving away from campus.